The multi-speed transmission has not quite lived up to the hype when dropped into an electric vehicle. Sure, there are limited pure electric applications out there that have made successful use of a multi-speed setup. But, by and large, the single-speed remains the go-to choice for BEVs. Specialist engineering consultancy, Drive System Design (DSD), seems to think so. 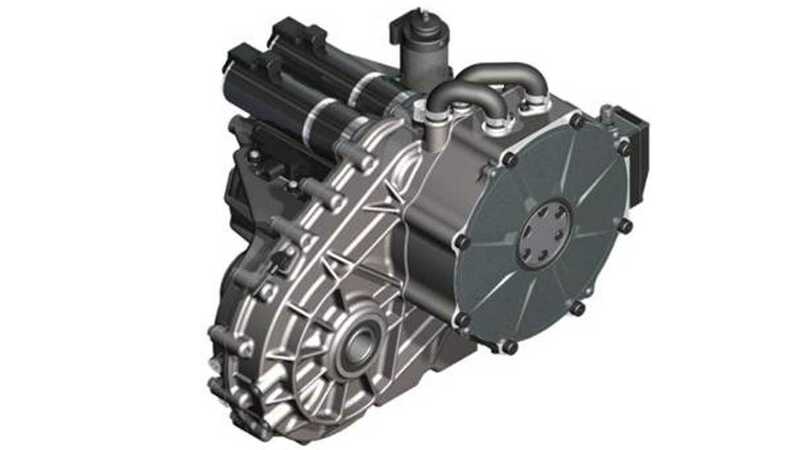 DSD is currently developing a three-speed transmission for next-generation hybrid and electric vehicles. Called MSYS, the system uses the "powershift principle to overcome torque interruption during shifts, providing ultra smooth shifting." DSD says a multi-speed transmission enables an electric vehicle to either achieve higher performance or increased range. This is made possible by more efficient motor use, as compared to a conventional single-speed trans setup. "Most transmissions have a step between ratios of 2.0:1 or more. We identified that there is a threshold value of around 1.5:1, below which the shift event can be made to feel imperceptible to the driver and occupants through accurate control of the powershift actuators." There are other benefits to the MSYS, too. 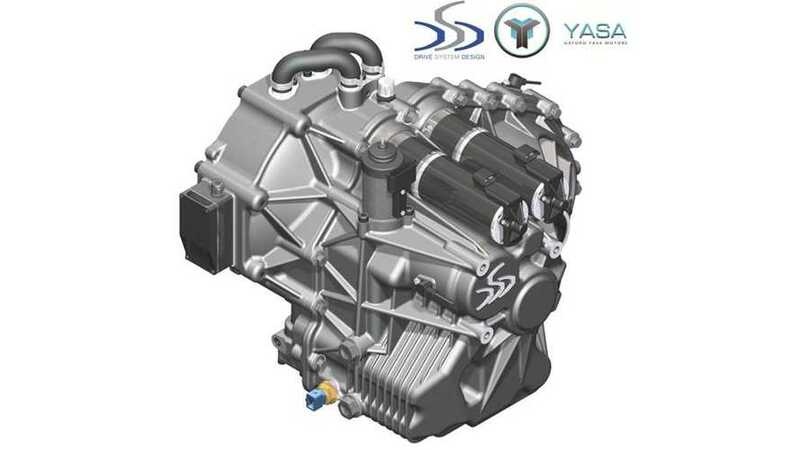 DSD claims "MSYS provides a 40 percent weight saving and 10-15 percent lower vehicle energy consumption, because it permits downsizing of the motor and, by being in the optimum gear ratio more often, extends the time the motor spends operating at high efficiency." "The reduced vehicle energy consumption can be taken as a 10-15 percent increase in range, or a saving of 10-15 percent in battery size." DSD says that the MSYS transmission will be put into a demonstration vehicle in Q4 of 2013. 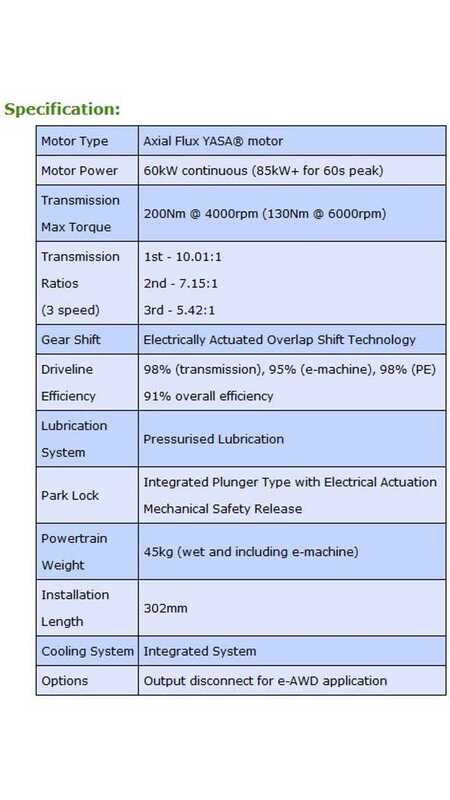 See below for full specs on the proposed MSYS trans/motor setup.